At Powell, being a tester may be part of one's total job. For instance, the two testers we spoke with are the Customer Service Manager, Rebecca Eckles, and one of our finishers, Lindsey McChord. We asked them both what it's like to be a tester, and what the differences are between testing and performing. Rebecca told us that when you are a tester, the focus is completely on the instrument -- not your own individual performance. She says you need to be very consistent as a tester, so she has the very same repertoire and exercises that she uses for each flute. When a flute is finished, Rebecca tests it a few times. 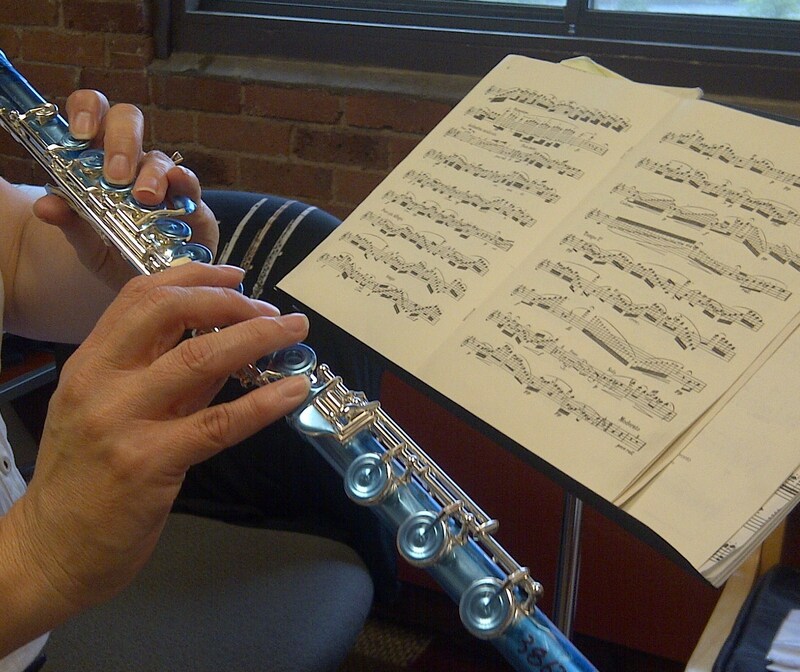 The first test is very mechanical, evaluating how the flute itself is functioning. Then, the finishing department makes any necessary adjustments, and she tests the flute again. In the second test, she said she focuses more on acoustics and response. If more adjustments need to be made, the flute goes back to the finisher -- and then on to her for more testing. The adjustment and testing process continues until the flute is 100% ready to go. Lindsey also has the same procedure and tells us that she will test flutes no fewer than 2 times and sometimes 3 or 4. "You have to take yourself out of the picture. Testing is all about the instrument rather than how many times you can play something perfectly. Also, you have to put your own preferences aside. You don't know who the flute it is going to, so you have to keep in mind that it might be someone who uses, say, less air or a lighter touch." Since testers do have to play the same pieces and exercises each time to keep everything consistent, Lindsey mentioned that knowing the repertoire (like Bach, Dutilleux, and all the studies from the French School) helps tremendously. She particularly likes the Dutilleux "Sonatina for Flute and Piano" and uses it to really put the flute to the test. For Lindsey, the piece "has some passages that are extremely difficult, so you can really isolate the difference between (issues with) the flute and yourself. 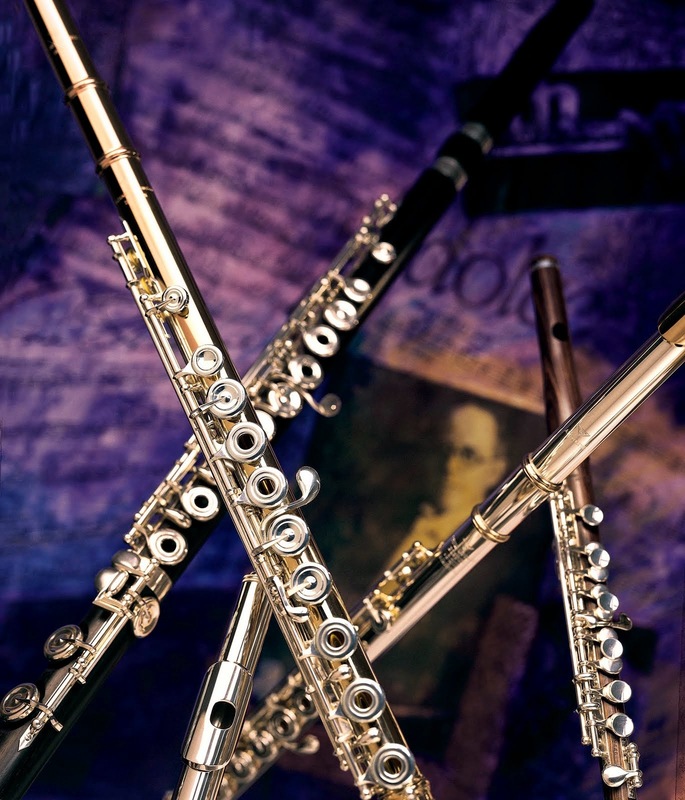 If I can play the easy passages, I know the flute is in good shape!" As a finisher herself, Lindsey feels that she, personally, also has to put her finishing skills aside when testing. When she is testing, she needs to determine how the flute feels, how it plays, and how it looks. Although it can be challenging not to avoid "diagnosing problems" since she is a finisher, she doesn't test her own flutes. If she does find an issue, she says she wants the finisher to know exactly what she is hearing, and that way, the can determine what needs to be done. She says, "I try to give them the overall picture" and provide the feedback that a customer would give. Even though she, personally, could make adjustments in her playing to compensate if needed, she sets that training aside to provide an objective evaluation.